There is so much to see and do in Thailand that few visitors can resist returning. With an expansive coast line and gorgeous tropical islands, Thailand is justly famed for its wonderful beaches and laid-back lifestyle. 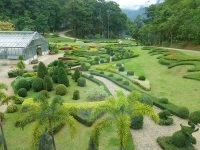 Inland, there are the iconic sights of lush jungles, rolling hills and rice paddies. 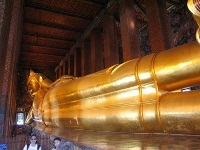 As a country of Buddhists, there is also an abundance of golden temples and beautiful, spiritually-inspired architecture. One word of caution though: to avoid the common fate of temple fatigue, don't try to see too much. Rather concentrate on a few key attractions and spend some quality time in each of them. 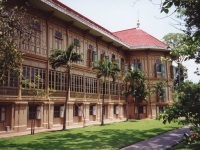 In contrast is the buzzing atmosphere of Bangkok, whose neon lights and smoggy streets blend with gardens and floating markets to create a unique hybrid of old and new - at a frenetic pace. 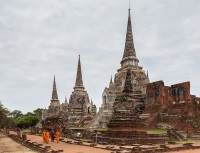 One reason why Thailand is such a rewarding sightseeing destination is that it has retained its distinctive identity in the face of significant western influence. That makes visiting here an exciting and exotic experience, whether you are a resort loving beach bum or an adrenaline junky exploring hill tribes and river rapids. 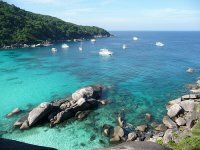 More good news is that Thailand is blessed with year-round temperate weather so you visit at any time, although in the months from June-October rough sea conditions may make some islands unreachable via the ferry system. Getting around is fairly easy and remarkably safe. 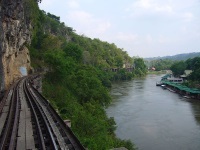 An excellent bus network connects even far-flung towns with the major cities, while a comfortable sleeper train connects Chiang Mai in the far north with the capital Bangkok. Many people prefer to see the sights via organised tours and air-conditioned buses, but by doing so you risk missing out on the fun of getting between attractions, where you will encounter local people in unexpected ways. We are looking for contributors for our Thailand travel guide. If you are a local, a regular traveller to Thailand or a travel professional with time to contribute and answer occasional forum questions, please contact us.